Spurred By Success, Publishers Look For The Next 'Hunger Games' The Hunger Games has been a huge success, and the film adaptation is only weeks away. Now, publishers are looking for the next big dystopian hit. 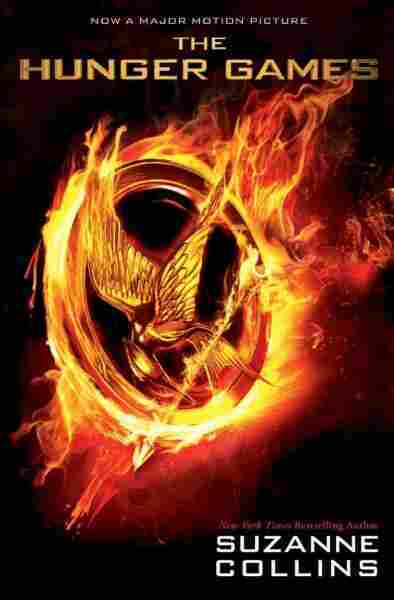 The film version of the young adult book sensation The Hunger Games opens March 23rd. The hype around the movie has sent the sales of the already best-selling trilogy to new heights. And publishers are eagerly churning out more books set in post apocalyptic dystopian worlds — just like The Hunger Games. In the beginning, The Hunger Games was not considered a sure thing. Why would it be? It's the story of a world where teenagers are forced to fight each other to the death in a game that is broadcast and watched everywhere like a reality TV show. David Levithan, editorial director at Scholastic which publishes the books, says the company took a risk on The Hunger Games because they trusted the writer, Suzanne Collins. It wasn't until Collins turned in the first manuscript that Levithan understood what he had. "It came in on a Friday," he says, "and I and the other editors who worked on it read it over the weekend, and we came in on Monday and just looked at each other and said: 'Wow.'" Now, there are more than 26 million copies of all The Hunger Games books in print in the U.S., and all three books consistently top the best-seller lists. The film version of the book stars Jennifer Lawrence as Katniss, the courageous young heroine who volunteers to take part in the games in order to save her little sister from having to participate. Dystopian fiction has been around for a long time, but the success of The Hunger Games has spawned a whole new crop of books set in a grim future where an authoritarian regime is just begging to be overthrown. They are aimed straight at a teenage audience. "Dystopia is the new vampire for sure," says Sarah Pitre, who's not a teenager but loves young adult fiction and writes about it on her web site, Forever Young Adult. Look in the Young Adult section of any book store and you'll see shelves full of these books. Some of them even have covers that clearly imitate The Hunger Games. Pitre says there's always a hero or heroine, no older than the early 20s, faced with a life or death situation in a post apocalyptic world. "You know, it's fun to see so many books try to guess how the world will end. Super-volcano's been very popular, virus is very popular, nuclear bomb is popular ... but it is kind of fun to see writers trying to stretch and be like, what else could happen, what other terrible tragedy could occur?" For bestselling author Lauren Oliver, the answer is "love." 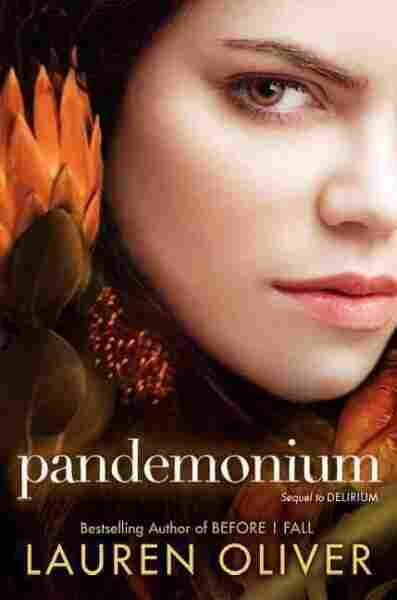 She's just released Pandemonium, the second book in a series that's "kind of an alternate history of the United States in which love has been declared a contagious disease," as she puts it. She never intended to be part of a dystopian fiction trend — she just wanted to explore the idea of a society that views love as a plague and forces its citizens to be cured of it at the age of 18. Oliver thinks young people today can identify with the characters in these stories. "The young protagonists are inheriting this kind of dark and broken world, and with a little bit of pluck and courage, try to navigate it and try to salvage some kind of a happy ending. And I do think there's a lot of parallels to how young people kind of feel nowadays as they're confronting this future that's very uncertain in this country economically and they're inheriting what they see as kind of a broken world." The best of these books, says Sarah Pitre, offer richly imagined visions of a world changed forever by a cataclysmic disaster. 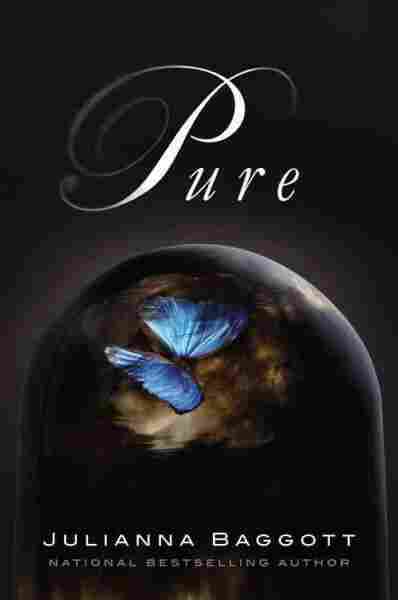 In Julianna Baggott's Pure, a massive bombing leaves survivors forever fused to whatever they were doing at the moment of the detonations. Pitre says its a riveting device. "I loved how gross the mutations were in her book. She had a doll's head for her hand. The guy she likes has birds in his back. It was really fascinating and gross. It's like a train wreck; you can't look away." Rebellion plays a big role in these books, says Pitre, and it helps if they have what she calls "swoon" — that is, a hot romance. Most are action-packed. Some, like the Chaos Walking trilogy by Patrick Ness, are violent. "If you think Suzanne Collins is mean in Hunger Games with all the people she kills, just wait 'til you meet Patrick Ness. He will make you cry. I cried so much reading all three books, but I found them to be absolutely amazing." Not everyone is as big a fan of these books as Pitre. David Levithan understandably has a warm place in his heart for The Hunger Games, but he's not convinced that dystopian fiction will knock the vampire off its young adult perch. "I, as a reader, when I finish a dystopian novel, I just wanna go read Pride And Prejudice. I feel that if you sat there and only read about broken worlds over and over again, it would get a little bleak and tiresome. So I'm not quite sure people are just reading this in the same way that they were like, 'Oh, I'm just gonna read vampire romance over and over again." Of course, a dystopian world WITH vampires? That's another story.